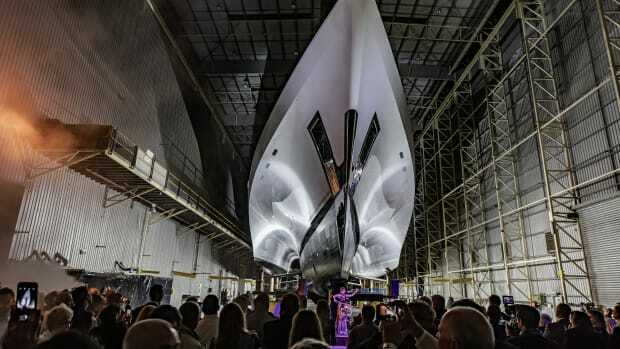 At a presentation held at Marino di Loano, Dutch builder Lynx Yachts unveiled its newest 38-meter project: the LOV 38. 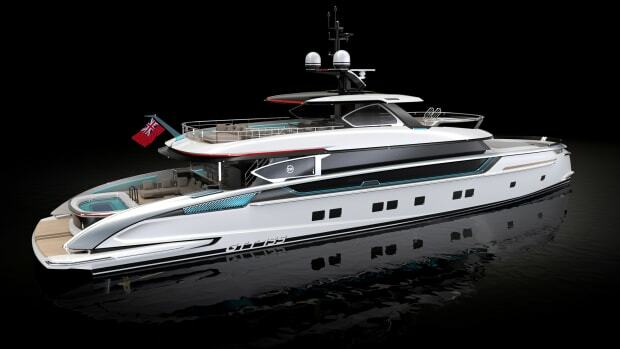 The LOV 38 (named for the initials of the three brands responsible for the design) promises a balance of style, performance, comfort and space, as a reflection of owners&apos; desires to be closer to the ocean. From what we can see, she has striking exterior lines and generous outdoor spaces for alfresco options. The exterior decks provide flexible living areas. The sundeck can have a spa tub, sun beds or any number of other accessories to enjoy the outside elements. 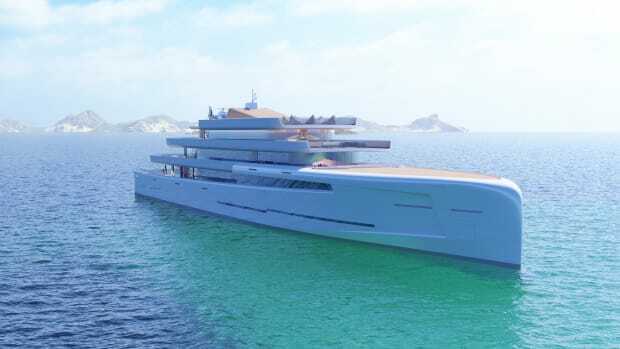 A functional beach platform situated as close to the sea as possible will house a tender and water toys. 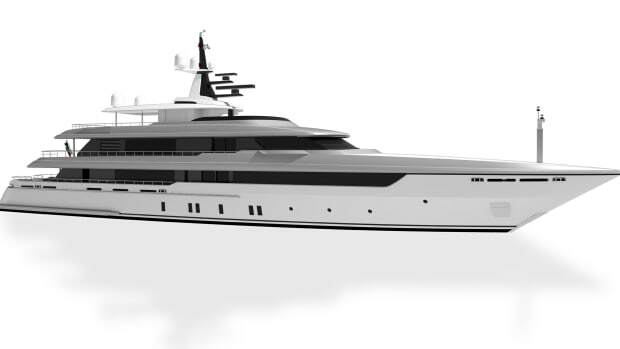 LOV 38’s exterior will comprise a sturdy masculinity, near-vertical bow and reverse angled wheelhouse. Full-height windows wrap around the sky lounge and salon. 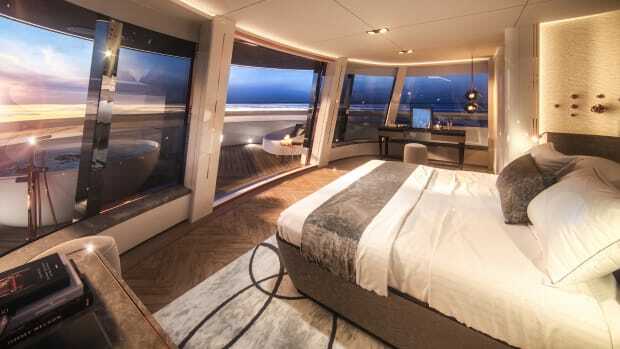 The master suite, located forward on the main deck, has extra-large windows, while on the lower deck, the double guest cabins have three windows that are interconnected by dark paint to create a longer, more elegant profile. The interior plan offers three layout options for hosting 8 to 12 guests in four, five or six cabins. The sky lounge has two arrangement options: one with a service counter and games table. The sky lounge area can also be replaced by an owner’s deck with private terrace, in addition to the owner’s suite found forward on the main deck. 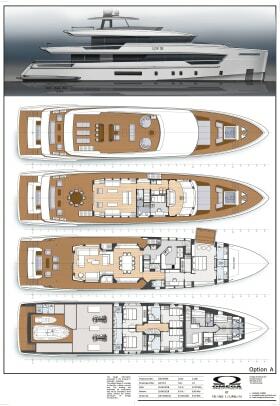 On the lower deck would be four guest cabins: two doubles and two twins. 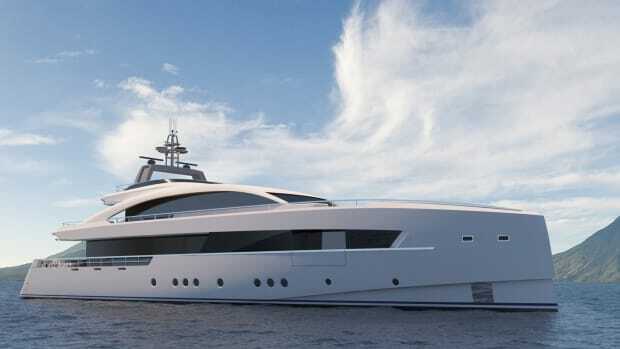 Alternatively, there can be two double cabins and one full-beam VIP, each with ensuite bathrooms. 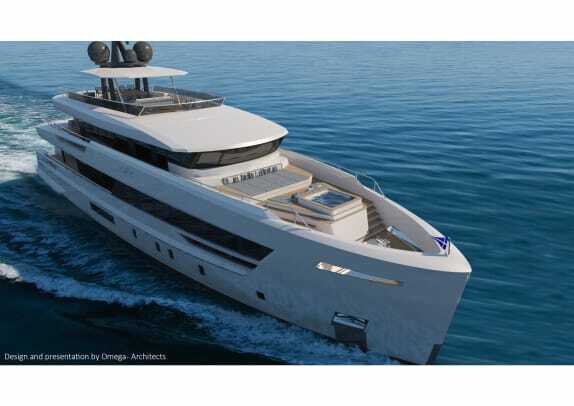 The 12-guest layout, offered for dedicated charter use, has a full-size table for alfresco dining on the sundeck, with a second, formal dining area indoors on the main deck. The sundeck has a spa tub, a forward facing bar and sun pads. 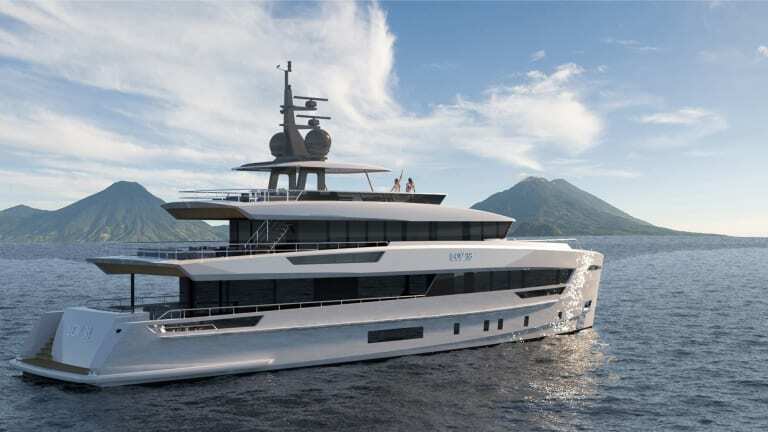 The 8- and 10- guest layouts are ideal for family use, offering options for three full dining areas: on the bridge deck aft, main deck aft, and inside on the main deck. Common to all is an aft lower deck activity center, which houses the tender, jet ski, diving gear, a day head and more. 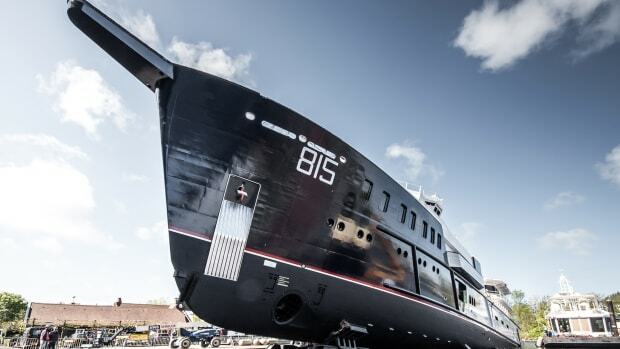 Forward on the bridge deck, each configuration has a spacious lounge area with inviting sofas and sun pads, a perfect space for private relaxation and sun bathing when moored stern to quay, as well as a nice view when cruising. All arrangement options have a full-beam master suite with large balcony port on the main deck. The suite includes an office, vanity room, dressing room, and his-and-her bathrooms. 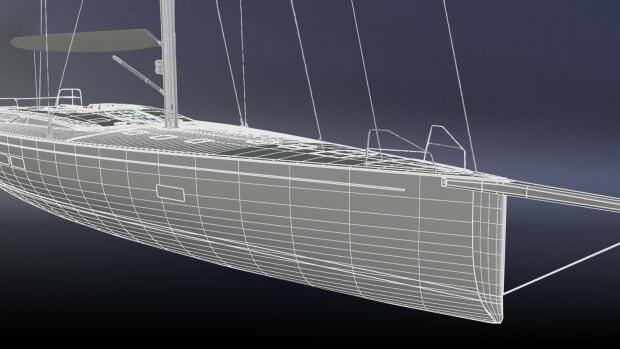 The design speed of the yacht is estimated to be 21-22 knots, courtesy of its Fast Displacement Hull Form (FDHD) developed by Van Oossanen. 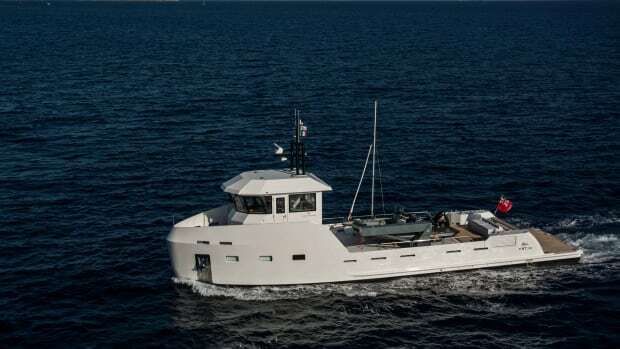 Model tests at the Wolfson Unit have proven the FDHF to be the most efficient hull form from cruising speed up to full planing speeds, resulting in 20-30 percent less resistance and higher comfort in waves and at anchor.